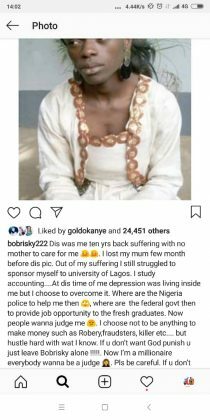 Recently, Nigerian internet personality, cross dresser and entrepreneur, Idris Okuneye, popularly known as Bobsrisky informed the public through an Istagram post where he shared his grass to grace story, that his mum is dead. Unfortunately it seems from facts uncovered by Enquirermag.com, Bobrisky is no doubt Nigeria’s ultimate master of deception. For whatever his reasons for denying his mother and to the extent of proclaiming the innocent woman of substance as being dead, the controversial cross dresser sure needs to see a psychiatrist. They get so accustomed to devious behaviour that they lie without much thought or emotion, their situation is that critical and, so it is, for the flash-in-the-pan cross-dresser who broke down in tears during the last Mothers’ Day to claim his mother is not alive. Infact, we’re able to get a picture of him with one of his siblings on the occasion of the mum’s 60th birthday and we’re told he (Idris) and his siblings threw caution to the wind by engaging each other’s jugular, fighting over who should pay for photography, we gathered it took the intervention of the Magodo police to pour oil on troubled water. 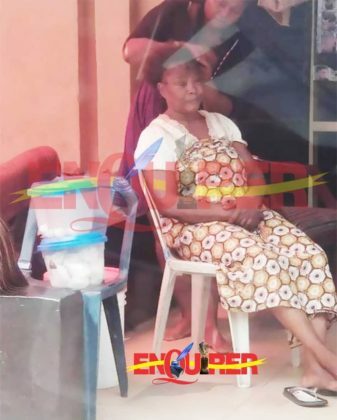 Our indefatigable team of investigative reporters was at Alhaja Bollington’s provision store inside Magodo where we met with some of his siblings and also eldest sister, and fortunately the mum, Alhaja was inside her tenant’s shop, Mama Calabar where she was actually making her hair and nails. 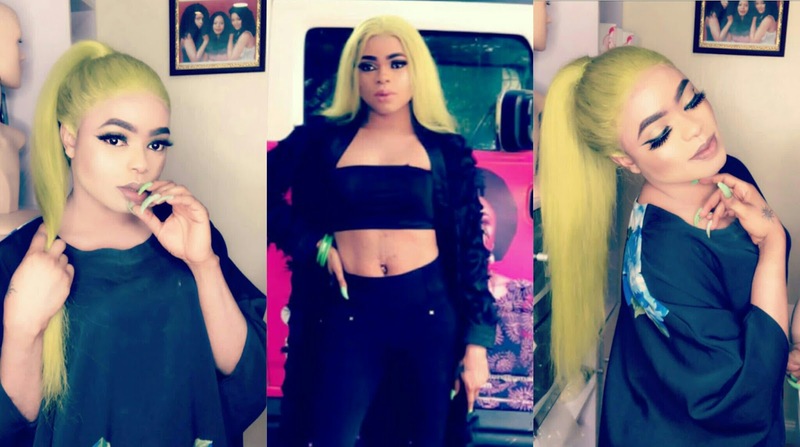 According to sources close to the family, Bobrisky, born Idris Okuneye is the woman’s last born and his other siblings are in the US while his sister, who just relocated from the US is presently helping the old woman to run her shop in Magodo. This is indeed a shocking discovery that has kept mouths wide open. Why on earth would someone declare a woman who carried him/her in her womb for 9 months dead just for fame and money.